Area Public School Jazz Band Clinic at CSM. 9 a.m., April 4-5. College of Southern Maryland, La Plata Campus, Fine Arts Center (FA), 8730 Mitchell Road, La Plata. 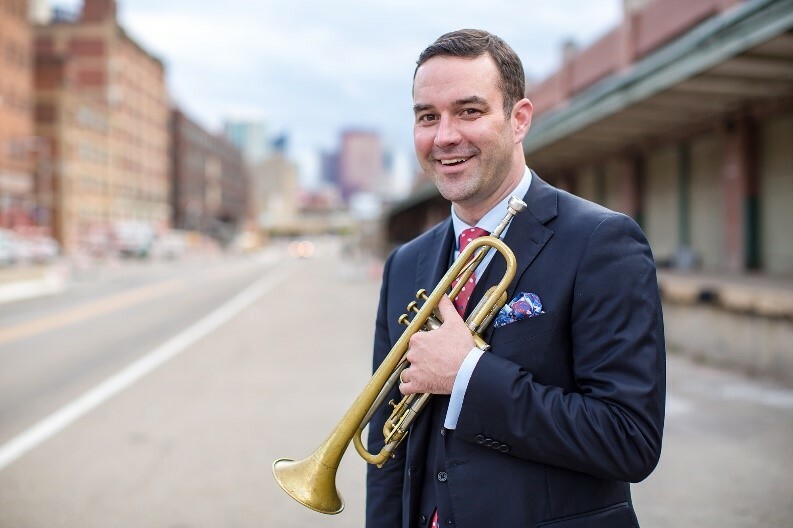 Beginning at 9 a.m. and throughout the day, award-winning trumpeter Dr. James Moore will rehearse and critique jazz band students from area public schools as part of the annual CSM Jazz Festival. Free. No tickets required. 301-934-7828, www.csmd.edu/Arts. CSM Jazz Festival Concert. 8 p.m., April 5. College of Southern Maryland, La Plata Campus, Fine Arts Center (FA), 8730 Mitchell Road, La Plata. The Randy Runyon Project will perform. $5 in advance, $7 day of event. boxoffice@csmd.edu, 301-934-7828, www.csmd.edu/Arts. CSM Connections Literary Series: Edna Troiano. 7:30 p.m., April 5. College of Southern Maryland, La Plata Campus, Center for Business and Industry (BI Building), Room 103, 8730 Mitchell Road, La Plata. Novelist Edna Troiano will read from her latest book, “Uncle Tom’s Journey from Maryland to Canada,” which traces the life of Josiah Henson from his birthplace in La Plata, Maryland. $3 in advance; $5 at the event; or $3 with CSM student ID. For advance tickets, email connections@csmd.edu, 301-934-7828, www.csmd.edu/community/connections-literary-series/connections-readings/. CSM Jazz Festival Concert with Trumpeter Dr. James Moore. 8 p.m., April 6. College of Southern Maryland, La Plata Campus, Fine Arts Center (FA), Theater, 8730 Mitchell Road, La Plata. CSM concludes the 16th Annual Jazz Festival with performances by the County Public Schools Jazz Band and CSM’s Solid Brass Big Band Jazz Ensemble with special guest artists, the Randy Runyon project and award-winning trumpeter Dr. James Moore. $5 in advance, $7 day of event. boxoffice@csmd.edu, 301-934-7828, www.csmd.edu/Arts. 2019 Tri-County Job and Career Fair. 10 a.m.-2 p.m., April 9. College of Southern Maryland, La Plata Campus, Center for Business and Industry (BI Building), 8730 Mitchell Rd., La Plata. The 2019 Tri-County Job and Career Fair provides an opportunity for area job seekers to meet with employers from throughout the region. 301-934-7569, www.csmd.edu/JobFair. CSM Registration Opens for Non-credit Summer Courses. April 10. All College of Southern Maryland campuses. Registration opens for non-credit courses offered this summer. www.csmd.edu/apply-register/noncredit/. CSM Barbershop Extravaganza. 4 p.m., April 13. College of Southern Maryland, La Plata Campus, Fine Arts Center (FA), Theater, 8730 Mitchell Road, La Plata. The CSM Barbershop Extravaganza features the Southern Mix, under the direction of Paul Douglass, a men’s barbershop chorus consisting of community members and CSM students along with guest barbershop quartet Gimme Four. This extravaganza is partially funded through a grant from the Charles County Arts Alliance and the Maryland State Arts Council. $7 adults, $5 seniors/military with ID/youth of high school age and younger; adult tickets are $5 when purchased before the day of the concert. boxoffice@csmd.edu, 301-934-7828, www.csmd.edu/community/the-arts/music/barbershop-chorus/index. Visions of Verses. 5-8 p.m., April 13. calvART Gallery, 110 South Solomons Island Road, Prince Frederick. CSM, in collaboration with the Arts Council of Calvert County and the calvART gallery, will host Visions of Verses, an annual celebration of the value of art in our lives. The program features an exhibition of paintings by calvART Gallery member artists and a reading by Southern Maryland poets of poetry inspired by those paintings. Free. www.calvertarts.org/. CSM Closed for Holiday. April 21. All campuses. The College of Southern Maryland will be closed April 21 for Easter. www.csmd.edu. CSM Annual Juried Student Exhibition. April 22-May 8. College of Southern Maryland, Fine Arts Center (FA), Tony Hungerford Memorial Art Gallery, 8730 Mitchell Road, La Plata. This annual exhibition features CSM student art. In addition to the month-long exhibit, an award ceremony, which is open to the students, their families and the community, will be held 2:30 p.m. April 30. The gallery is open 9 a.m. to 9 p.m., Monday through Friday and 10 a.m. to 6 p.m., Saturday. www.csmd.edu/community/the-arts/visual-arts/hungerford-gallery/index. CSM Fall Registration Opens. April 22-26. All campuses. Fall registration opens April 22 for returning CSM students with 45+ credits; on April 23 for returning students with 30+ credits, on April 24 for returning students with 15+ credits; on April 25 for returning students with 1+ credit and on April 26 for new students. www.csmd.edu/apply-register. CSM Brick Recognition Ceremony at the Leonardtown Campus. 3:30 p.m., April 23. College of Southern Maryland, Leonardtown Campus, Wellness and Aquatics Center (Building D), 22950 Hollywood Rd., Leonardtown. A ceremony will be held to recognize those being memorialized at the campus through the CSM Foundation’s Honorary and Memorial Brick Recognition Program and to thank those participating in the program. Free. www.foundation.csmd.edu/news-events, 301-934-7599. CSM Open House, Prince Frederick. 5-7 p.m., April 23. College of Southern Maryland, Prince Frederick Campus, Building B, Multipurpose Rooms 103-105, 115 J.W. Williams Road, Prince Frederick. Visitors can learn how to get started at CSM with less debt, meet faculty, learn about financial aid and scholarships, receive transfer information, talk to current CSM students and find out about athletics and other CSM clubs and organizations. Free. www.csmd.edu/apply-register/credit/campus-open-house-tours/. CSM Open House, La Plata Campus. 5-7 p.m., April 24. College of Southern Maryland, La Plata Campus, Fine Arts Center (FA), Theater, 8730 Mitchell Road, La Plata. Visitors can learn how to get started at CSM with less debt, meet faculty, learn about financial aid and scholarships, receive transfer information, talk to current CSM students and find out about athletics and other CSM clubs and organizations. Come tour the Health Sciences building and talk to faculty about the many pathways for a rewarding career in health. Free. www.csmd.edu/apply-register/credit/campus-open-house-tours/. CSM Open House, Leonardtown Campus. 5-7 p.m., April 25. College of Southern Maryland, Leonardtown Campus, Building A, Room 206, 22950 Hollywood Rd., Leonardtown. Visitors can learn how to get started at CSM with less debt, meet faculty, learn about financial aid and scholarships, receive transfer information, talk to current CSM students and find out about athletics and other CSM clubs and organizations. Free. www.csmd.edu/apply-register/credit/campus-open-house-tours/. CSM Main Stage Theater: “Pippin.” 7:30 p.m., April 25; 8 p.m. April 26-27; 7 p.m., May 3; 2 p.m., May 4-5. College of Southern Maryland, La Plata Campus, Fine Arts Center (FA), Theater, 8730 Mitchell Road, La Plata. “Pippin,” a musical with a score by Stephen Schwartz, is the story of one young man’s search of the secret of true happiness and fulfillment. $15 adults, $12 military/seniors/youth. boxoffice@csmd.edu, 301-934-7828, www.csmd.edu/community/the-arts/theatre-and-dance/. CSM Scholarship Finder for Fall 2019 scholarships. April 28. The CSM Scholarship Finder link: csmd.edu/scholarshipfinder is available all year, but potential and current students are encouraged to fill out the online application by April 28 for the fall semester. Scholarship Finder will auto-match students with every scholarship for which they qualify. There are more than 200 scholarships based on a wide range of criteria available. Visit csmd.edu/scholarshipfinder to learn more. CSM Annual Juried Student Exhibition Reception. 2:30 p.m., April 30. College of Southern Maryland, Fine Arts Center (FA), Lobby, 8730 Mitchell Road, La Plata. An award ceremony honoring exceptional CSM art students is open to the students, their families and the community. The gallery is open 9 a.m.-9 p.m. Monday through Friday, and 10 a.m.-6 p.m. Saturday. www.csmd.edu/community/the-arts/visual-arts/hungerford-gallery/index. 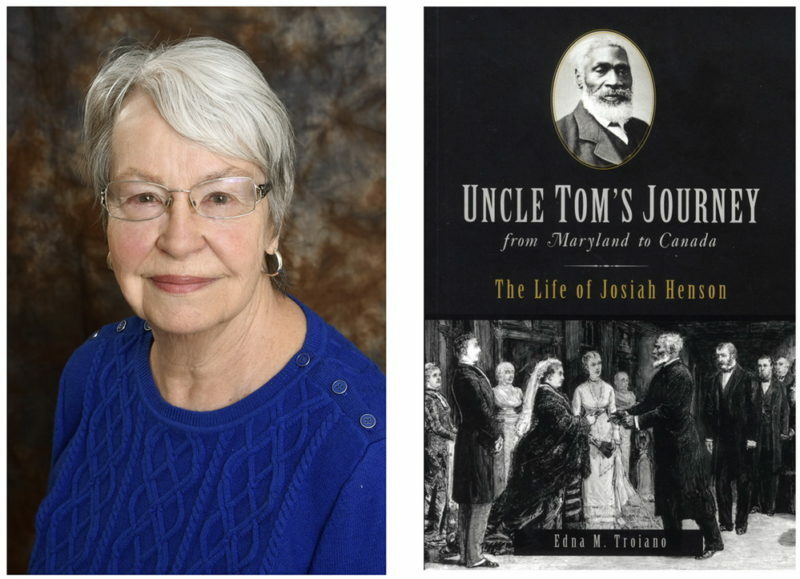 Novelist Edna Troiano will read from her latest book, “Uncle Tom’s Journey from Maryland to Canada,” which traces the life of Josiah Henson from his birthplace in La Plata during CSM’s Connection Series April 5. Award-winning Trumpeter Dr. James Moore will perform at CSM’s 16th Annual Jazz Festival April 4-6, 2019. Mary Washington, longtime member of the St. Mary’s County Board of Education, kneels beside the brick dedicated in her name at CSM’s Leonardtown Campus. This entry was posted on March 19, 2019 at 9:51 am and is filed under All News, Arts, Calvert News, Charles News, Community, County, Education, Entertainment, Good News, More News, St. Mary's News, z 600X120 Top Ad Bottom, z 600X120 Top Ad Top. You can follow any responses to this entry through the RSS 2.0 feed.